Mhlangeni Lodge is a gorgeous B&B situated high up on the banks of the Mhlanga River in St Michael’s on Sea, just 1 km from the St Michael’s on Sea swimming beach and 2.1 km from Shelly Centre. Guests can relax round the swimming pool, watch the multitude of bird life and Samango monkeys, or walk the grounds to the Mhlanga River. Accommodation offered is in 6 guest rooms, each with Wi-Fi, a fan, a safe for valuable items, a hairdryer, an iron, tea- and coffee-making facilities, a bar fridge, and a TV with limited DStv channels. 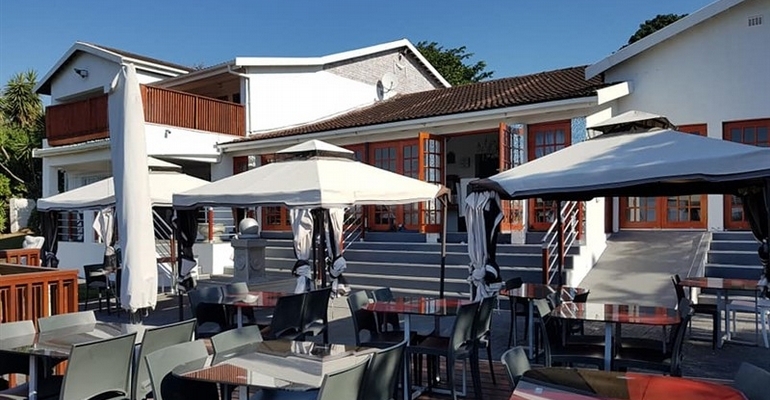 Mhlangeni Lodge offers a tranquil tea garden, conference facilities, and can cater for anniversaries, weddings, birthdays, bridal showers, and other functions. For the keen fisherman, we are placed in the hub of many prime rock & surf fishing locations, as well as close to the Shelly Beach ski boat club for those that prefer deep sea fishing trips. Other activities in the area include a number of golf courses, horse riding, swimming beaches, Oribi Gorge, Pure Venom and that is only mentioning a few.